This chapter addresses imaging modalities available to assess disease processes of the sinonasal cavity and provides some direction on when and how to use them. To understand the pathogenesis and imaging appearances of rhinosinusitis and other pathological processes that may affect the paranasal sinuses, a brief review of sinus development and anatomy as it pertains to mucociliary clearance is essential. 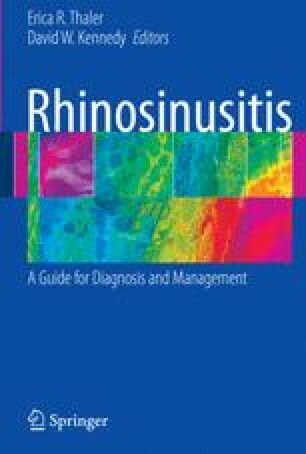 Subsequently, focused imaging assessment of disease processes, including rhinosinusitis and neoplasms, is covered.